Sophisticated RPA is able to tackle time and labor-intensive processes like payroll, invoicing, tax preparation and more. No matter how large the workload is, intelligent automation can handle the heavy lifting with incredible speed and precision. And, critically, these processes take little to no input from actual accountants. Consequently, accountants spend a lot less time on manual processes and data-entry. Strategic Initiatives – Accounting and finance are what drives successful businesses, but success requires a constant focus on the next obstacle or opportunity. RPA takes care of backward-looking process so that accountants can focus forward instead. 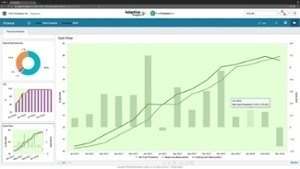 Plus, since automation delivers insights so quickly, strategic accountants always have a clear view into the future. Process Improvements – RPA does a lot to improve efficiency and productivity, but that doesn’t mean accounting departments couldn’t improve even more. Once accountants are liberated from tedious process they can locate other areas where upgrades, improvements, and enhancements are possible. Training and Education – With major changes coming to the tax code and the regulatory landscape, accountants will need to stay abreast of the updates. RPA gives accountants both the time and the energy to begin diving into the important details. Developing Insights – Every department and decision maker depends on financial insights. It’s up to accountants to supply them, but they can only fulfill so many requests when they also have to fulfill basic accounting obligations. Automation empowers accountants to develop better insights overall and supply them to a wider swath of stakeholders. To understand how automation really affects accountants, just imagine if the most boring, tedious, and repetitive parts of your workday were eliminated. Instead, you would spend your days on major priorities and long-term projects that engaged your professional interests. Accountants thrive under these conditions, and the impact spreads throughout the accounting/finance department and through the enterprise as a whole. 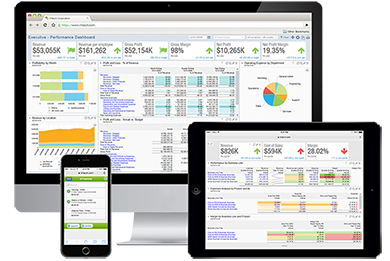 Sage Intacct runs on next-generation technology to tackle accounting workloads and has a cutting edge roadmap to incorporate RPA and AI. AcctTwo is here to make implementing this new technology quick and easy. We also offer managed accounting services to optimize your accounting department even further. To find the option that is ideal for your operation, contact AcctTwo today. AcctTwo CTO, Brett Michalson will demonstrate the features of the AcctTwo Period-End Allocations module for Sage Intacct.